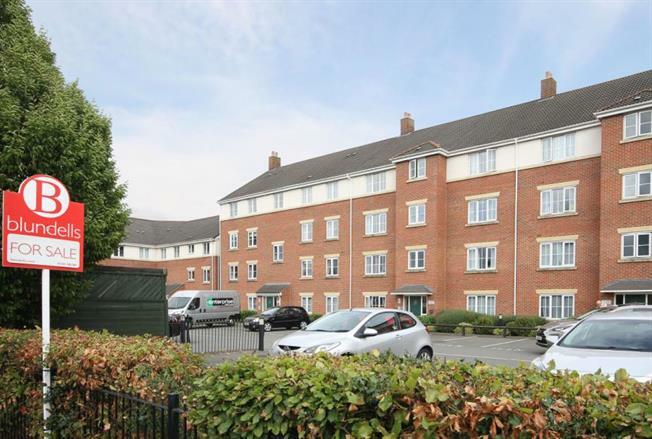 1 Bedroom Flat For Sale in Chesterfield for Guide Price £90,000. The perfect starter home or this exciting investment opportunity with a rental potential of 475pcm, whatever you fancy this is a steal!! Positioned within close proximity of Chesterfield Town Centre, public transport links, Chesterfield Train Station and ample local amenities, complete with its own allocated parking space the property is minutes from the M1 motorway for the commuter and within walking distance of the town centre. This well presented one bedroom first floor apartment is neutrally decorated throughout with a brand new oven fitted in the kitchen, with modern wall and base units. The property offers en suite facilities, large lounge, and fitted modern kitchen with integrated appliances, bathroom, hallway with intercom system and communal entrance.